Hello everyone. today I show you imagen of "La Laguna del Quilotoa" is one of the 15 lagoons of volcanic origin appreciated as the most beautiful in the world. 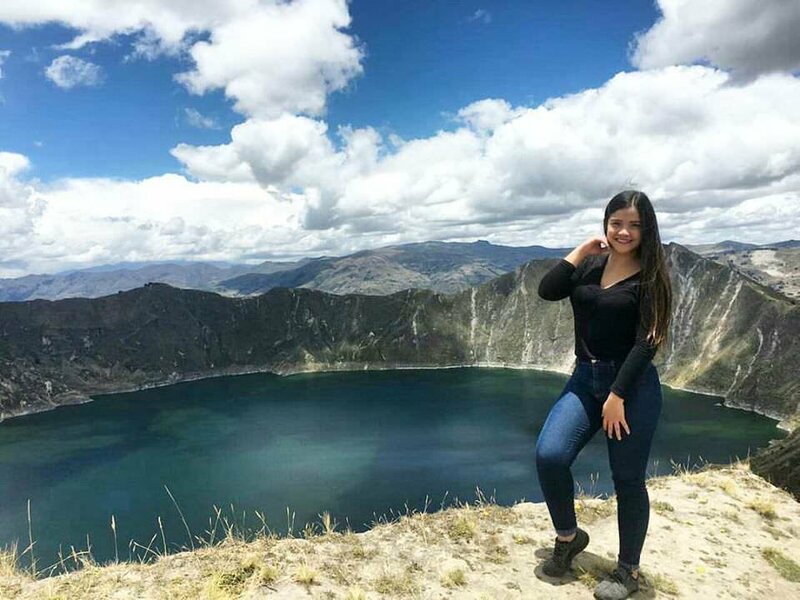 It is located in Ecuador, Quilotoa is the westernmost volcano of the Ecuadorian Andes, within its crater a caldera with a diameter of almost 9 km has been formed. This is the product of the collapse of the volcano, which occurred some 800 years ago. According to studies, the volcanic flow managed to reach the Pacific Ocean. Visiting Quilotoa is an overwhelming experience at approximately 4 thousand meters above sea level. The photos are taken from my cellphone sansung.